The University of Houston was first a junior college thanks to the board of trustees for the Houston Independent School District and their vote on March 7, 1927. It took until 1946, after 5 years of fighting, for Houston to have a football team play its first game. The football team had marginal success throughout its career, with their current team under head coach Kevin Sumlin being a return to prominence. Case Keenum coming back at full strength may help this team break the barrier and notch a Conference USA title. So are you like me and still thirsty for Shasta? 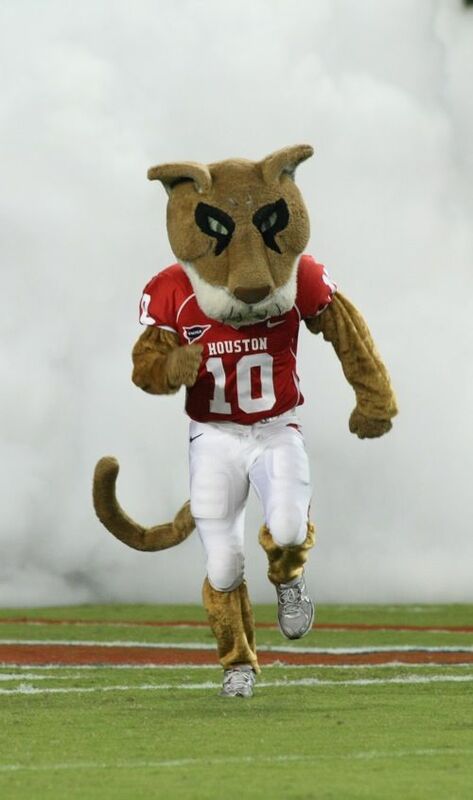 First off, Houston became known as the Cougars by way of Washington State. You see, head coach John R. Bender pushed for the name onto the student newspaper because he was the head coach at Washington State before. With that settled, it was time to find the mascot. The Alpha Phi Omega fraternity raised funds to purchase a live cougar in 1947, a year after the university made the name official. Student Joe Randol won the contest naming the live mascot Shasta, because ‘She-has-to’ have a cage, have a winning ball club, work it harder, make it better, do it faster, makes us stronger. 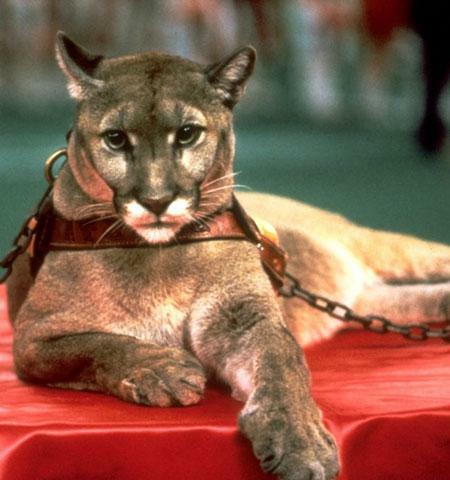 Shasta made it through five incarnations, with the first Shasta living the longest. 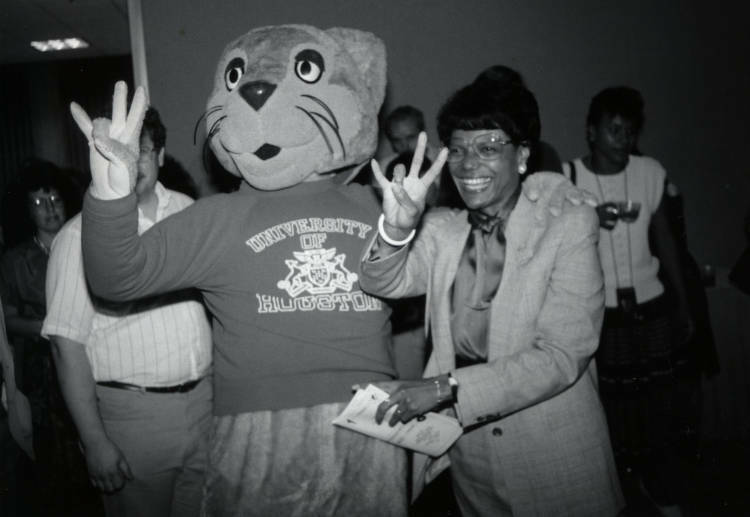 After the fifth one’s death in 1989, interim president George Magner stopped the purchases of live mascots and introduced a costumed version of the mascot. Shasta started out as a female but right now I can’t tell the gender. You know, it doesn’t really matter to me. A mascot should have its own gender classification. 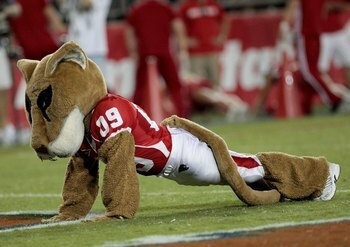 Whatever the gender, Shasta does a good enough job of being furry, having a huge head, and wearing football pads during games. Shasta will not win any major awards but the job is done and it’s done alright to me. The University of Houston is on the cusp of jumping to the big time. Not only for this year’s team and their shot at a conference title, but also for maybe making it to an honest to goodness BCS conference. Their name has been tossed around as a potential replacement for Texas A&M leaving the Big 12. Whether that happens or not, you can be sure that the team will stay cool with a Shasta always on the field.